July 11th probably began as a typical Friday for Utah resident TJ Brewer. He was undoubtedly looking forward to having dinner with his father, his wife, and his four children in his home that evening. 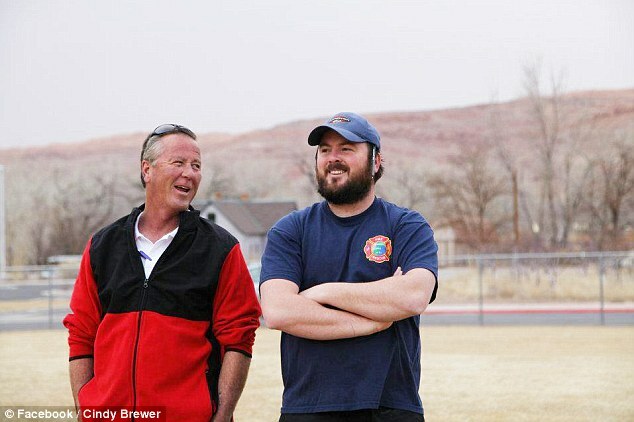 The Brewers had a long and distinguished record of public service and TJ’s dad, Wesley, has served as Moab’s Fire Chief since 1989. The municipality had even named the Fire Department Headquarters after him. So it came as a surprise to the entire community when the events of that very evening would lead to the end of both their careers and destroy the family. 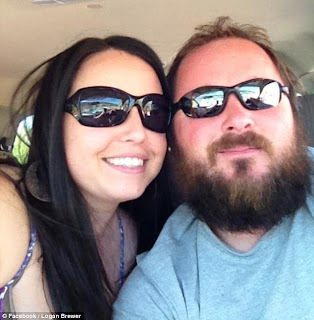 According to police reports, Wesley, TJ, and TJ’s wife Logan were sitting around after dinner and having a few drinks when Logan announced that it was time to put the “children in bed” and disappeared upstairs. At some point thereafter, TJ realized that his father had vanished as well and he went upstairs looking for them. Discovering that his son’s door was locked, TJ forced his way inside only to find his father and his wife fornicating in his son’s bed. Understandably chagrinned by this turn of events, TJ immediately began beating his father before taking a brief respite to retrieve a handgun. Reentering the room, TJ pointed the firearm at his wife before backhanding her and then pistol-whipping his father. At some point, Loagn was able to escape to her parent’s house and Wesley returned home to retrieve his gun. Upon his arrival, Wesley’s wife (sensing something was amiss) attempted to hide his firearm in a car. Thwarted, Wesley grabbed a butcher knife from the kitchen and began stabbing himself eventually puncturing a lung and his liver. Wesley was rushed to the local hospital for emergency surgery where TJ reappeared (sans shirt and shoes) to “finish the job” of killing his father. Outside the hospital TJ was confronted by his uncle Curt (also a sheriff’s deputy) and a physical altercation ensued. TJ was finally taken into custody and charged with attempted homicide, aggravated assault, two counts of domestic violence in front of a child, assaulting a police officer, intoxication, and disorderly conduct. However, since it appears that the Brewer family comprises half of the town’s public safety workforce the case was handed to the Utah Attorney General who reduced the charges to assault and assault against a peace officer.TJ and his father have both resigned their positions. TJ recently plead guilty in exchange for a suspended sentence, probation, and an $800 fine. I think it would be safe to classify this as the worst dinner party ever. This is a series of events that would offend even Maury Povich’s delicate sensibilities. With the combination of guns, alcohol, and familial affection; it is a miracle that no one was killed. While I believe that a mixture of counseling, prayer, and forgiveness can be a potent recipe for healing; I am not sure there is anything that could prevent the Brewer’s next Thanksgiving meal from devolving into a fisticuffs. Moab, Utah has 5,000 residents crammed into less than 4 square miles. TJ probably violates his probation just getting the morning paper. Regardless of how it began, the effect on these four children is inexcusable. Their world has been irrevocably shattered by the very people they would look to for consolation. Life is hard enough without discovering that your mother cheated on your father with your grandfather in your bedroom. Who are these people? It is as if an entire Greek tragedy moved to Utah and its characters decided to pursue careers as first responders. Wesley dear, once you are feeling strong enough, could you give me a little insight into why you attempted to remove your own spleen with our Pampered Chef cutlery set immediately after announcing your intention to shoot our son in front of your common lover. Don’t worry yourself honey. It was just a little misunderstanding about dessert. While I can sympathize with the fact that TJ was acting under emotional duress, I am not sure $800 and a restraining order is exactly bringing the judicial hammer down. I have seen municipalities that distribute tougher sentences for first offense littering. At the very least, he should spend a few Saturdays on the side of the road collecting evidence to use in the prosecution of the litterers. This family has TOO many problems even for Dr Phil to fix in an hour ! Maybe Maury or Montel would be a better choice? Nah....Springer all the way.